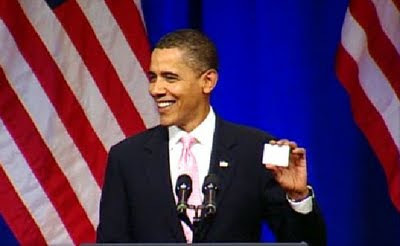 Obama holds up a periodic table: he's surely at MIT! The speech itself was on the shorter side and somewhat general - to the disappointment of some students - but it seemed more like a strategic motivational speech a la Kennedy and the Space Race rather than a hash-out of particular policies. Obama actually did make several analogies between the Space Race, the pioneering age, and today what he deems the "peaceful competition" for clean energy solutions - all evoking that spirit of discovery that he wanted to distill in his listeners. I do wish that he had been a bit more specific about the initiatives he and Congress have been putting through for research and clean energy support. Some of what he talked about was reminiescent of some things I worked on this past summer, like the Cap and Trade Bill (exciting that policy I gave feedback on is now in writing!). Most of it was pretty vague, so I'm hoping to get more details about how exactly this framework will boost the economy and result in positive steps against climate change and what particular industries can do. One random observation: he actually referred to the ARRA (aka Recovery Act) as "the Stimulus" - not that I've really been following his rhetoric throughout his presidency, but I just found it interesting, since at this summer's LISC conference on affordable housing, the HUD representative was careful to emphasize that we shouldn't be referring to it as the Stimulus. But anyways, we'll see how Mr. President chooses to act on his words, but in the meantime, at least we know that MIT can make him smile with a simple periodic table.